These are the NE Washington Campsites we've occupied in our RV Boondocking Travels. The Arbitrary lines I've drawn to mark off the NE Quarter of the state is an East/West line through Wenatchee and Hoodsport for the southern boundary and a North/South Line drawn through Mazama and Yakima as the Western Boundary. 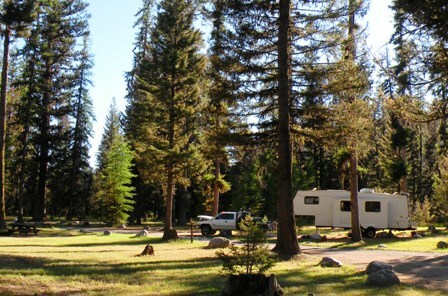 Type of Camp: Developed Campground Fee: $12 single site Golden access and other interagency passes are accepted. Cell Signal: No signal in camp. Just a mile or so up the road, at a pullout On the Pass I had good signal to meake calls and post to the blog. Directions: Located at the crest of Loup Loup Summit, off the North side of Hwy 20, 12.5 miles east of Twisp, Washington. How I found This Camp: Actually just spotted the Forest Service Sign Board on the Highway and pulled in.